It was recently published in the Archives of General Psychiatry that concussion/mild traumatic brain injury (mTBI) seems to have little impact on these outcomes after PTSD is accounted for. Melissa A. Poulsny, PhD was the lead investigator on this seemingly well-thought-out research. The rate of self-reported concussion/MTBI during deployment was 9.2% at time 1 and 22.0% at time 2. Soldiers with a history of concussion/MTBI were more likely than those without to report postdeployment postconcussive symptoms and poorer psychosocial outcomes. However, after adjusting for PTSD symptoms, concussion/MTBI was not associated with postdeployment symptoms or outcomes. Time 1 PTSD symptoms more strongly predicted postdeployment symptoms and outcomes than did concussion/MTBI history. I may be looking at this from an obtuse angle, but to me this seems difficult to separate PTSD from post-concussion syndrome. Granted, there are different symptoms and clinical definitions of each, but as we have learned through recent concussion research the two conditions “intermingle”. I do not believe (and please send me information to clarify) PTSD and PCS are treated the same. If that is the case, then a further study is need to see if those that had been changed to PTSD from PCS are recovering/adapting at a quicker rate than those with just PTSD or just PCS. The thought process is simple in my mind…what if concussions created PTSD? If that is the case then are there things that can be done at the point of injury to offset the development of PTSD? Or is the military medical community switching the classification of these individuals to something they know better? Just some random thoughts on this project. I think you are absolutely onto something here. I have been a firm believer that TBI and PTSD intermingle a great deal. Each can lead to the other, quite frankly. They overlap in many ways. I think it’s dangerous to try to “mark off the territory that belongs to each”. PTSD is a physically related problem, involving the autonomic nervous system jammed in overdrive, and TBI is a physically created problem, which can produce conditions which push the fight-or-flight response into overdrive. Further, PTSD behavioral issues can lead to risk-taking behavior and fights, which can produce TBI. The two can be intricately intertwined, but if you look at both from a holistic point of view, it’s not difficult to understand how each plays into each other. One of the big problems is that experts and specialists keep trying to segment them, which is a mistake. 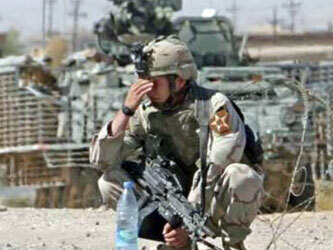 PTSD is one of the most neglected aspects of TBI. But think about it — how could TRAUMATIC brain injury not produce Post TRAUMATIC stress? Once you start treating them both — separately and together — as I did, you can get some pretty remarkable resolution to long-standing issues. EnoVISION Technologies, Inc. (the “company”) is a San Diego based company dedicated to developing an innovative video and audio system that enable patients (users) a fully immersive experience. This system connects to a centralized media platform giving access to movies, documentaries, patient education, custom media and much more. During this process the portal (system) is collecting the user’s bio-feedback and this in turn is used in several applications, such as heart rate monitoring. Our difference is notable and given that virtual glasses have been on the market for many years it is important to emphasize how our company distinguishes itself from the rest. This distinction is achieved through the creation of a unique online central portal and the collection of bio-feedback. This platform, in combination with high quality video glasses that focus on full emersion. Our goal is to establish a new standard in patient comfort with a system that is specifically designed to minimize fear, anxiety and stress or in some cases induce stress (medical stress testing). To that end, we target hospitals as well as medical and dental practices who would benefit from this enhancement to their patients experience and comfort, such as in cancer clinics, dialysis clinics, etc. Following these applications has also led the company to a very promising emerging market in the DOD and military sector. This device will be used to treat and mitigate the rapidly growing chances of PTSD. This system applies to all military and other service members, active and non-active.